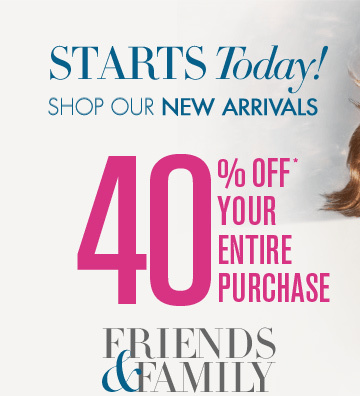 Ann Taylor and Ann Taylor Loft: 40% Off Friends and Family Today through Sunday! Now through Sunday, November 13th, Ann Taylor and Ann Taylor Loft are having a 40% off Friends and Family Sale. Go HERE to print your coupon. If you prefer to shop online, simply use code FRIENDS at checkout. What a great time to spoil yourself with some pretty holiday attire.